Upper Lake in the town of Battle, with dark clouds gathering above. Upper Lake forms part of the A2100 road. 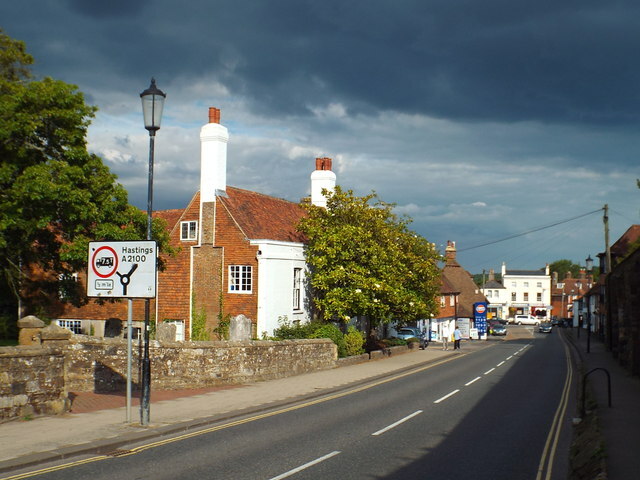 The A2100 is 7 miles long, it starts on the A21 at John's Cross TQ7420 : A2100, and finishes at the A21 / A28 junction to the north of Hastings. Along the way it passes through the historic town of Battle.